±1,425 SF AT 9 MONROE STREET Brian Johnson, from Kelleher & Sadowsky of Worcester, recently represented ProEast Asset Management in the leasing of ±1,425 square feet of office space at 9 Monroe Street in Northborough, MA. 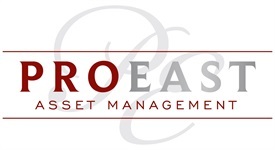 ProEast Asset Management offers a holistic approach to financial planning and believes a client needs an advisor that can not only help grow assets but educate clients along the way. ProEast Asset Management is planning to move into its new office space in the fall of 2018 to continue providing services for personal finances, investments, taxes, and risk management.